I just found this at the grocery store last night and had to give it a try. 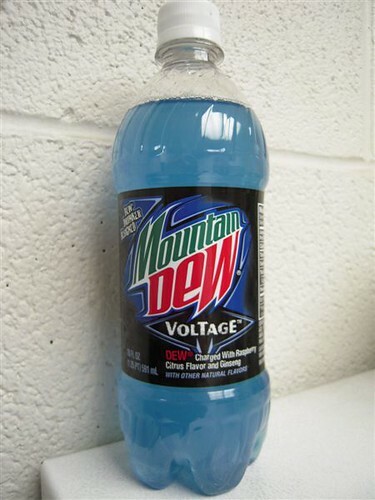 Mountain Dew Voltage – Charged with raspberry citrus flavor and ginseng. I am guessing this is standard Dew that they added a new flavor and some ginseng. The sugar content is still 76g for a 20 oz bottle which is the same as regular Dew. I didn’t notice any energy boost over a standard Dew. I would not buy this again but I was glad I did try it just so I witness the flavor explosion Voltage delivers. This entry was posted in Caffeine, Energy Drinks, Ginseng and tagged mountain dew, voltage on May 22, 2008 by Enery Drink Guru.